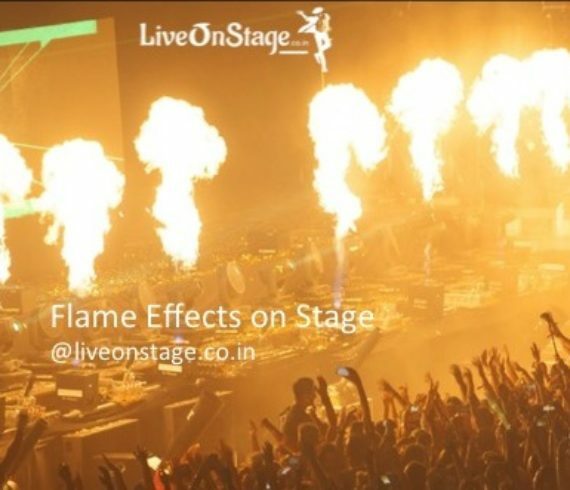 The 5 way Flame is one of the most unique color flame effects available for indoor and outdoor use. Its quick and responsive machine gun style flame assault is like firing an array of comets. Chases are lightning fast and the alcohol based coloured flame from five individual nozzles reaches a height of 18ft almost instantaneously. It can be set to fire in high frequency or pre-selected intervals. There are 5 firing nozzles angled at 45, 22, 0, -22 and -45 degrees. It can be controlled by 2 DMX channels and is housed in a stainless steel cabinet, it is clean, versatile, easy to use and extremely safe.